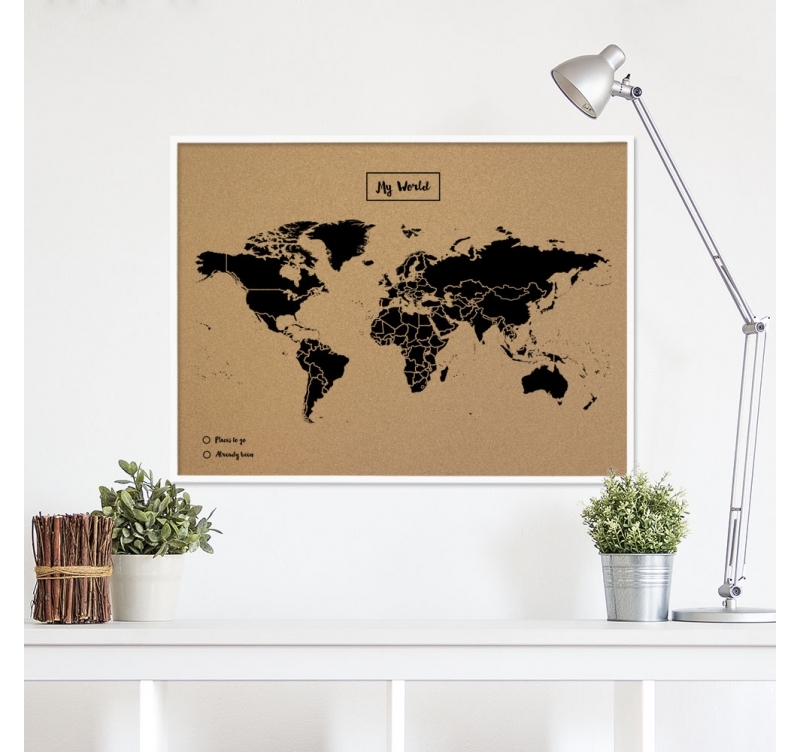 Our brand new world map collection of cork ! With white or black frame, this wall decoration will allow you to illuminate your interiors. 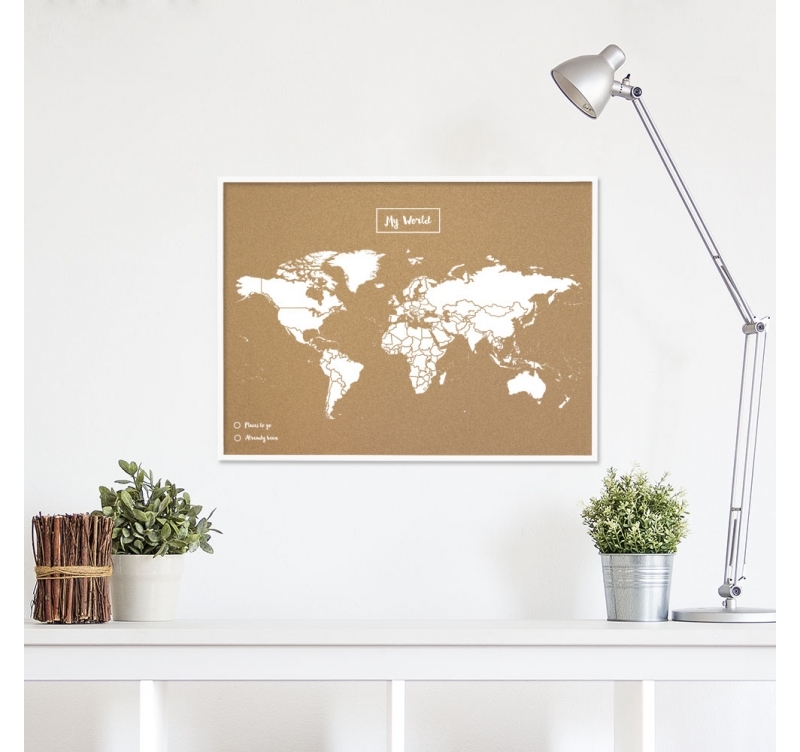 The cork wall map is available in several sizes for your interior. 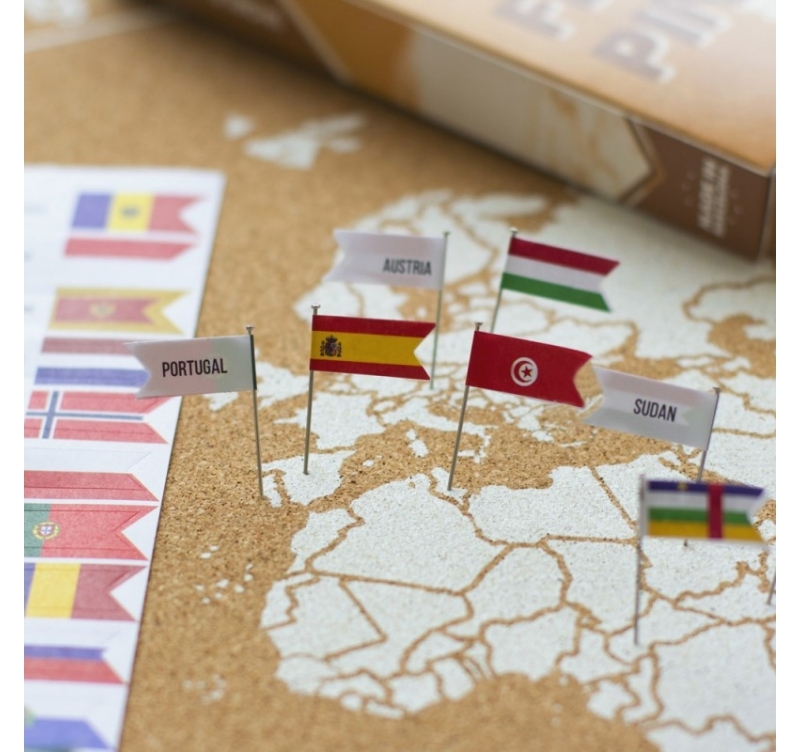 Flag-shaped pine packs are available to put them on your favorite destination. 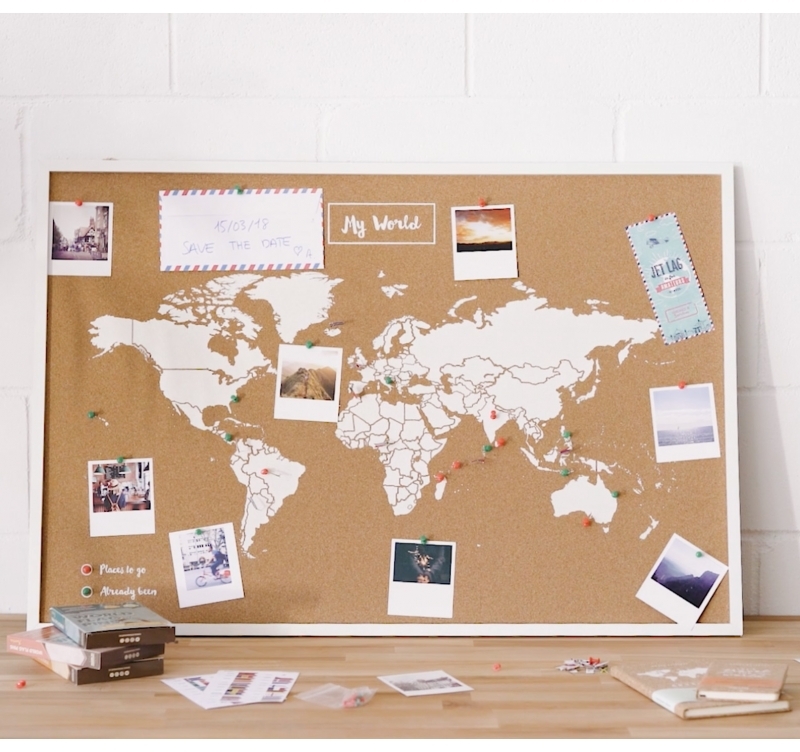 Artwall and Co, a specialist in the decoration of wall world map offers you a model all cork. 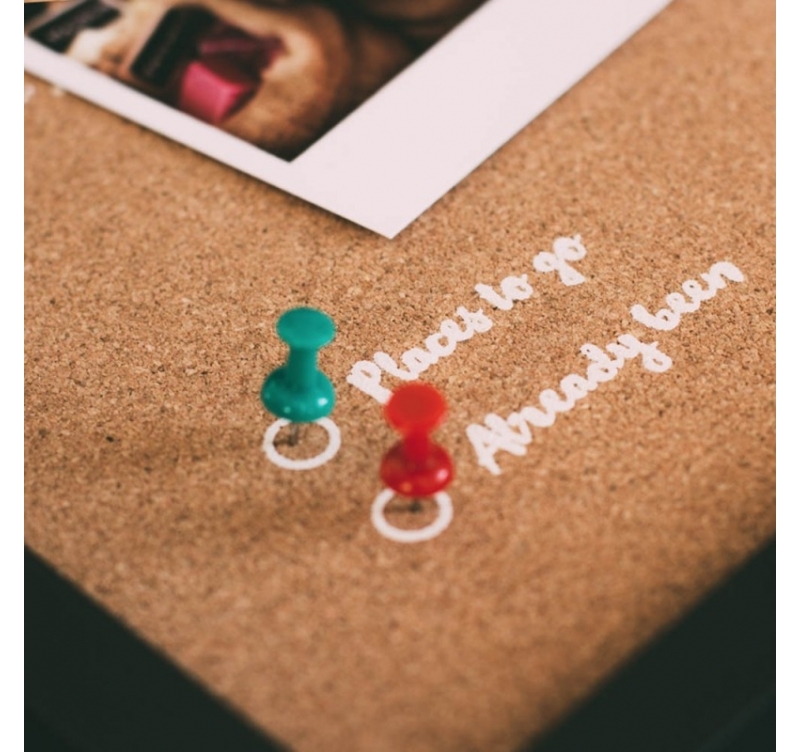 Indispensable for all travelers or lovers of distant destinations, this wall decoration is the essential design object ! 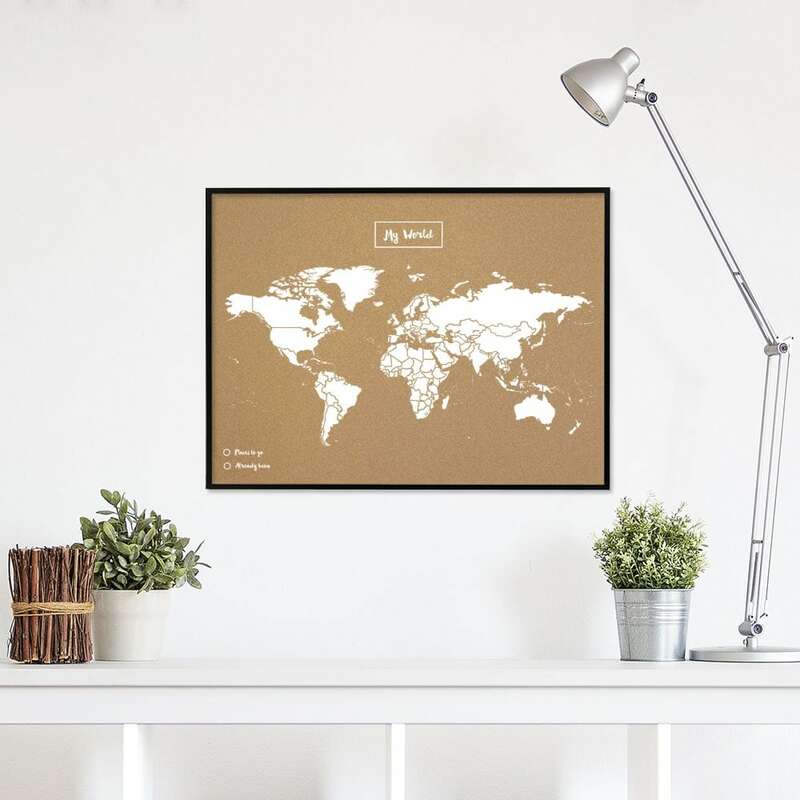 The cork material gives you a soothing and ultra trendy rendering that sublimates this white world map and your interior decoration. Artwall and Co also offers a kit of flag-shaped pines from around the world. 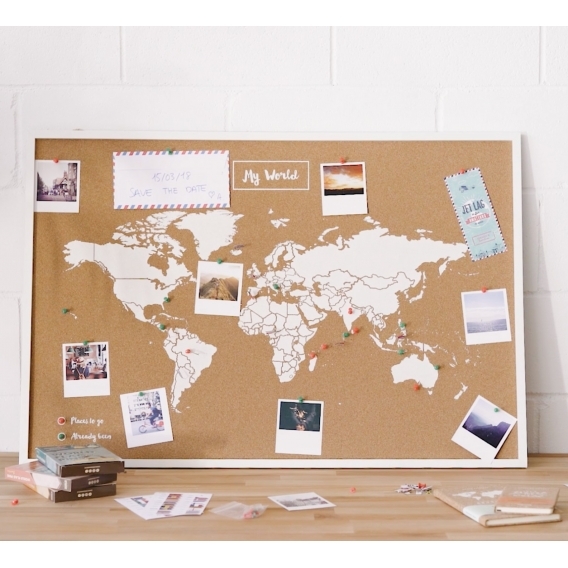 You can find them in our category of accessories to pin each destination made and those to come ... The perfect combination for any self-respecting Globetrotter ! With a frame in black or white, you can choose the color that makes you want ! 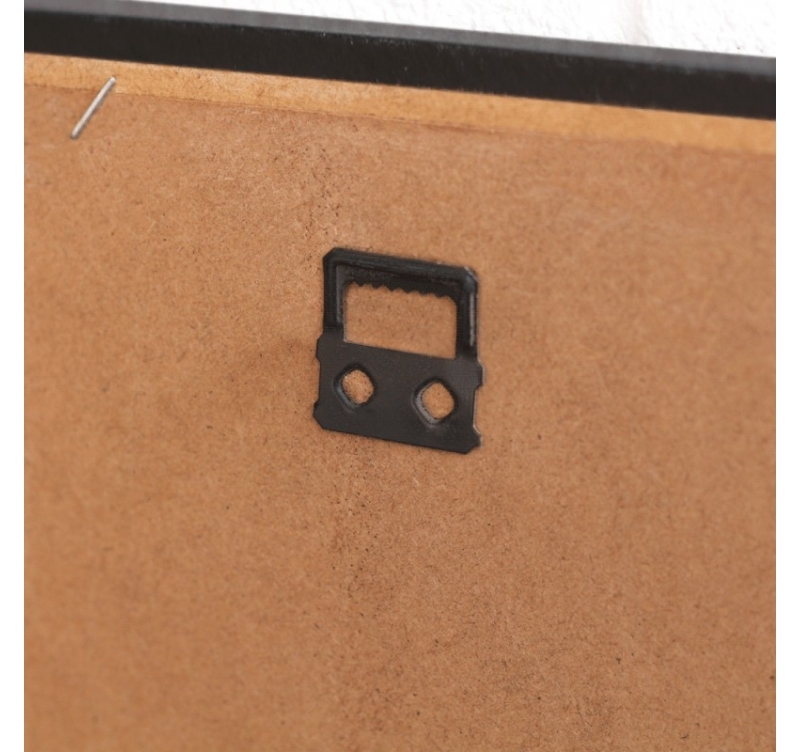 Each frame contains hooks to facilitate your installation. You can find them directly on one of our photos a little higher. For an original scheme, you can also put this card on a piece of furniture without hanging it on your wall.